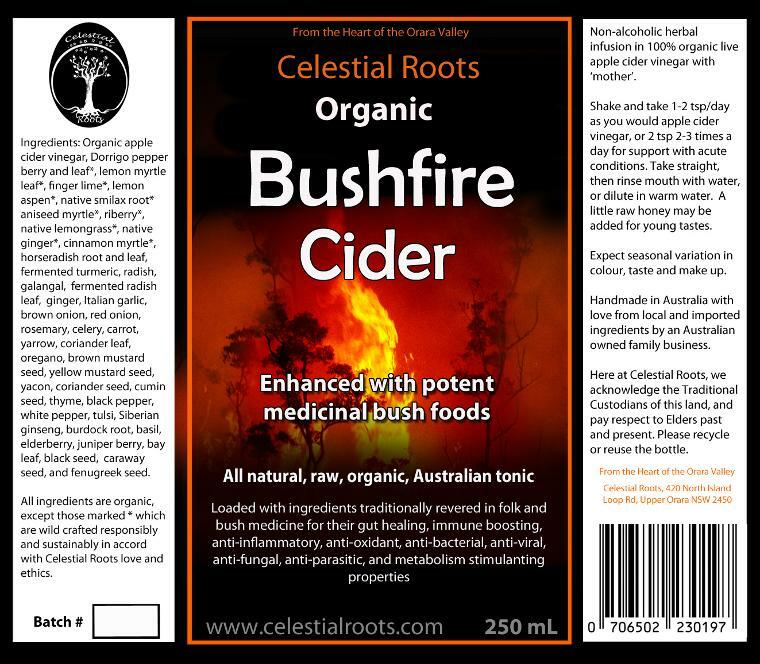 Bushfire Cider is a unique Australian take on a traditional European preventative and healing tonic. Like a next level fire cider, it draws on the wisdom of not only our own Indigenous healers, but healers and healing traditions from all continents. Bushfire Cider is hand-crafted locally with love by Tom Rothsey, drawing on mentorship from traditional herbalists and healers in Australia, France, Germany, and the UK. Ingredients for the tonic were selected based on Tom’s intuition, and knowledge of plant chemistry, function and synergy. This tonic is loaded with ingredients traditionally revered in folk and bush medicine for their gut healing, immune boosting, anti-inflammatory, anti-oxidant, anti-bacterial, anti-viral, anti-fungal, anti-parasitic, and metabolism stimulating properties. Dependent on seasonal availability, every brew has at least 42 biodynamic, organic, or wild crafted ingredients in an organic, live, apple cider vinegar base. "Peeps this guy is a fermentation GENIUS! We r so lucky he has put this down for us to buy & I hope u do coz we need to support each other to do our unique work that adds to the uprising of love & this is Tom's.